The rules about companies buying their own shares in England and Wales Scotland and Northern Ireland are quite complicated in order to protect the company&apos;s creditors. For a more detailed account see Can a company buy its own shares? In practice, a buy back by a company from its accumulated profits (i.e. profits from which a dividend can be paid) is reasonably commonplace. The typical situation is that one of the shareholders in a company wants to sell their shares, perhaps because they want to retire. In many cases the other shareholders will buy the shares themselves (and well-organised companies may well have pre-emption provisions in the articles or in a shareholders&apos; agreement to cover this eventuality). Buying their colleague out personally will mean that they will have to find the money. An alternative may be for the company itself to buy the shares, using its own funds, or raising the cash to do so. If the company can buy the shares using its accumulated, distributable profits, there are no additional procedures designed to protect the company&apos;s creditors. Many long-established companies have such distributable profits, shown on the balance sheet as revenue reserves. This is an accounting matter and advice should be obtained from the company&apos;s accountants before proceeding with a buy back. Under regulations made in 2013 a payment out of capital can be made provided it does not exceed the £15,000 or the value of 5% of the company&apos;s issued share capital, whichever is the lower. This is where the company issues new shares to raise the money to buy back some existing shares. It is not commonly done, but can be useful, e.g. where the company wants to buy back a particular existing class of shares, and raises the cash to do so by issuing shares of another class. This is not a standard service, but one we can undertake. Please contact us to discuss your requirements. 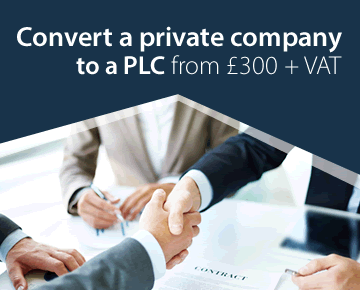 A private company can buy back its shares by making a permissible capital payment. There are detailed rules and procedures. This is not a standard service, but one we can undertake. Please contact us to discuss your requirements. When a shareholder sells shares they may be liable to Capital Gains Tax. This may also be the case when the shares are sold back to the company, but in some circumstances the profit on the sale may be treated as if it were a dividend and so subject to income tax. This may be an important matter to resolve before proceeding with the buy back. We do not give tax advice and we strongly recommend that such advice is sought before proceeding. Most buy backs out of profits will fall within the benchmark price. Increased charges may apply if shares are being bought from more than one shareholder or there are unusual complications. For a price for a purchase out of a fresh issue of shares or out of capital, please contact us.